As one of the most awaited festivals of the year is finally, all of Lord Ganesha's devotees welcomed this god on the occasion of 'Ganesh Chaturthi'. The Hindu festival that worships the Lord of new beginnings, Ganesha, is celebrated across the nation with much pomp and glory. Colourful processions, bustling music, and energetic dance moves cover the streets of the country while deity's idol is installed at home and at pandals to mark the celebration. However, Ganpati Visarjan i.e. idol immersion following the event has been a matter of concern, since it contributes to several environmental hazards. Idols that generally made of Plaster of Paris (PoP) are immersed in the water bodies, disturb the aquatic ecosystem and is a major cause of water pollution. The growing environmental concerns have led to the innovation of eco-friendly idols. The initiative ensures a fun-loaded celebration the occasion without damaging the environment. This year several devotees across the country have taken up eco-friendly idols to celebrate the occasion. 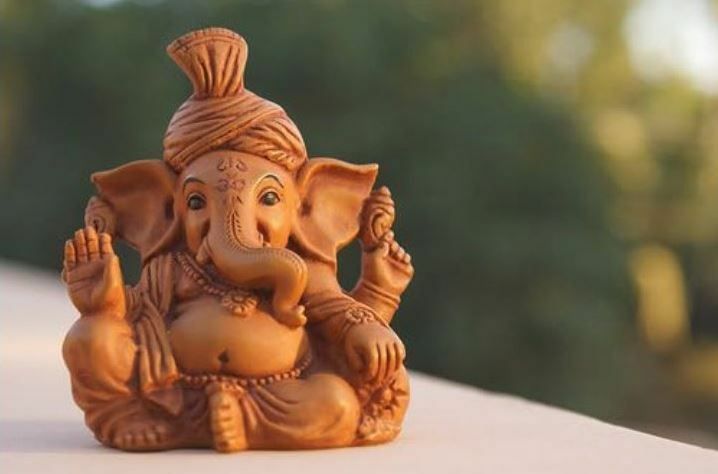 There is a growing demand for Tree Ganpati this year, in which the idol is made of seeds can be watered and turned into a sapling. Several people across the country have taken up the environment-friendly initiative to celebrate the famous event. 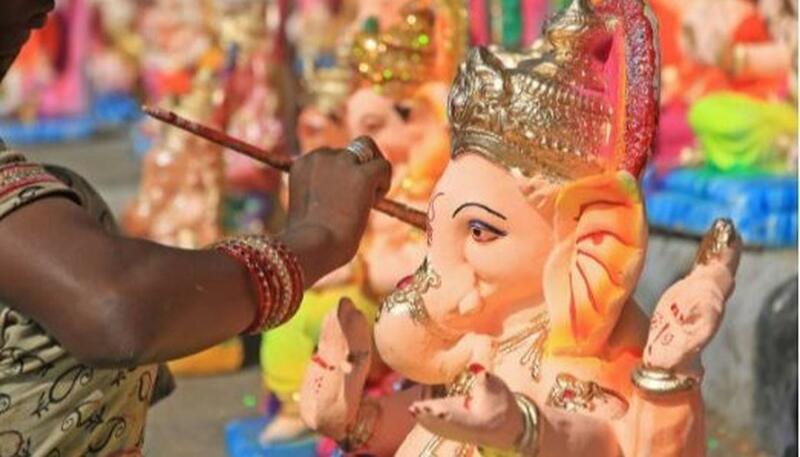 Devotees in Goa are all set to celebrate the Ganesh Chaturthi with great enthusiasm. 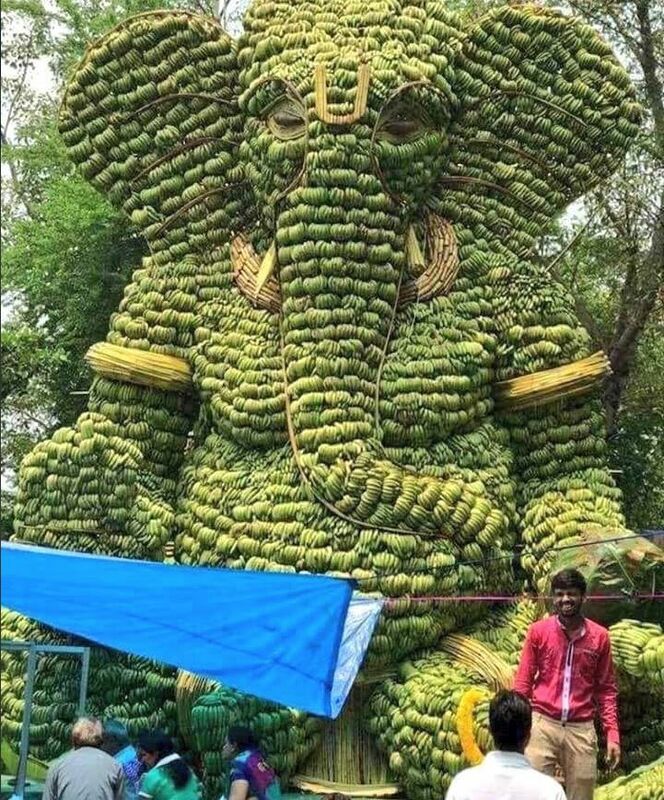 Reportedly, in Goa, a village has prepared a huge Ganesha idol using bananas and bamboos. After 10 days celebration of the festival, when the fruits ripen reportedly they will be distributed among the people. This Ganapati doesn't need to be immersed, but its visarjan can just be done by consuming it. 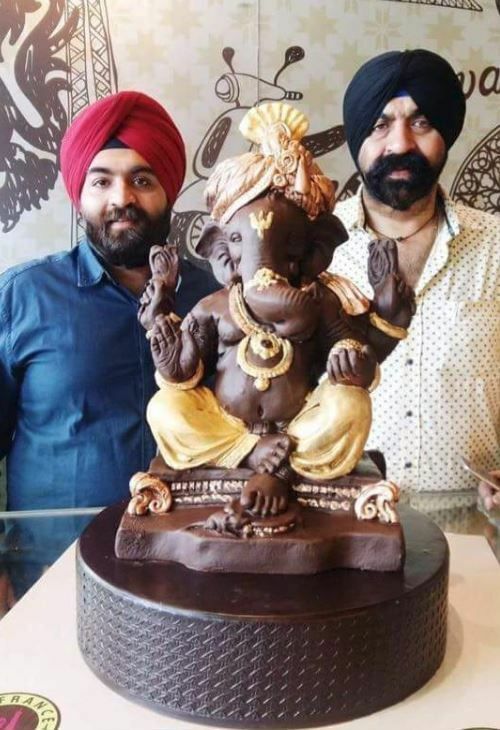 Several idol artists across the country have designed chocolate Ganpati to add more sweetness to the event. These Ganesha idols are highly in demand in the market. The Fish Friendly Ganesha idols are the growing trend. The idols made out of clay and filled with fish-friendly food including dried corn, spinach, and chickpea powder. When immersed in the water bodies, the small-sized idols easily get dissolved in the river water and the food filling stuffed inside it feed the fishes.